Income insecurity is not an important problem for retired Americans. Not at present. In fact, it’s just the opposite. Retired Americans probably enjoy more income security than the vast majority of people around the world and throughout history. I’m a retired American on the brink of 70. I’m not wealthy or even affluent, but neither am I poor or insecure. I’m very grateful for the life and security I enjoy at this point. The top one percent or five percent of Americans. I don’t know exactly where to draw the line. Maybe it’s the top 20 percent or 40 percent. Some people reportedly believe that older Americans are a wealthy class, living the high life at the expense of impoverished children and struggling younger adults. That’s because we enjoy remarkable income security, thanks to Social Security and Medicare. Many of us also have some pension benefits and even some savings. Younger and middle-aged Americans are rightly skeptical that they will enjoy similar benefits. The stage is set for intergenerational contention. The future is impossible to predict. The income security of younger generations is a matter of politics and economics, and I don’t want to go there. At least not today. What I want is to present an honest picture about the realities of retired life. It’s not all about money. It’s true that many will need to cut back spending and lifestyle to be in balance with our retirement income. But my previous post about income and spending may have left an incorrect impression linking income and spending issues entirely with retirement. In fact, people can suffer a sudden loss of income at any time in life, and for myriad reasons. Loss of job, divorce, recession, business failure, and illness, to name a few. Most of the natural world and human life run in cycles. It’s Biblical. Seven wet years and seven dry years. And so forth. The business cycle of expansion and recession is notorious and causes much misery. Financial consequences can be cumulative. An adjustment of income and spending at retirement is simply a part of the much larger cycle of human life. It may be that we are at the peak of the Social Security and Medicare cycle. I hope not. I will turn soon to lighter subject matter. If Maryland Is Rich, Why Do We Act So Stingy? The Washington metropolitan area is among the most affluent in the U.S., based on Census data. The suburban counties of Maryland and Virginia have always ranked high, according to median household income, for as long as I can remember. Many Maryland politicians and business leaders are aggrieved because Northern Virginia beats out the Maryland suburbs in the high-income game. That explains why many in Maryland obsess about competing with Virginia. The theory goes that Montgomery County must outbid Fairfax and Arlington counties in Virginia with tax giveaways and other subsidies for business. Otherwise, businesses will choose to locate in Virginia, rather than Maryland. It’s a crazy regional fascination with keeping up with the Joneses. Worse yet, millionaires might move across the Potomac River to avoid Maryland taxes! Spread the alarm: The sky is falling, the millionaires are fleeing for their lives (and their money)! And similar baloney, spread by people such as Blair Lee IV. This sort of petty thinking ignores the reality that businesses choose where to locate based on myriad factors, such as transportation systems, quality schools and universities, availability of an educated workforce, quality of life. Most of all, businesses go wherever they can find paying customers. Taxes are one factor among many, and not the most important. Likewise, millionaires choose where they want to live based more on status and amenities than on taxes. The rich want to live next door to other rich folks. Their favorite place of residence is Manhattan. Astronomical costs of luxury apartments overlooking Central Park don’t dissuade them, and neither do New York City taxes. 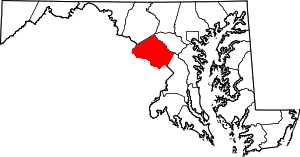 Many of the wealthy live in Maryland because it is, as the beer commercial used to say, “The land of pleasant living.” Yes, the entire Chesapeake region is the land of pleasant living. And if the landed gentry want to move someplace else . . . well, they have to sell their fancy homes to other millionaires. Get it? You can’t find a waterfront estate just any place. You have to go to the waterfront. Far as I know, B-4 still lives in Maryland. Let’s focus on the larger reality, shall we? The Washington area, including the Maryland and Virginia suburbs, is one of the very richest in America! By extension, that means we’re among the most wealthy, privileged people in the world, and in all of history. Get it? Wealth and privilege. How could this wealthy, privileged megalopolis have allowed its Metro subway system to fall into disrepair? Why is every decision to build a school or give teachers or police a raise controversial? Why is raising the paltry $7.25 minimum wage a big deal? With so much affluence and wealth** in Maryland, why do politicians constantly bicker like spoiled children over who gets a bigger slice of cake? I’m looking at you, fellow Democrats, since we’re in the majority. Nothing focuses the attention of Maryland pols quite as much as allocating money to build schools, or highways, anyplace in the state. Please don’t mention highways and mass transit in mixed company. Highway people fight with mass transit people like cattlemen and sheep herders in the old West. With so much wealth, Maryland can afford to fund all its needs. We ought to be counting our blessings and giving thanks for our privileged location, not sulking and fighting. Problem is, people who have big money or control big money don’t want to part with it. The affluent and the wealthy, and their representatives, want to keep what they have, and earn or steal more. Most of all, they want to avoid paying taxes at all costs. Four counties in Virginia are among the top ten in the nation every year, based on median household income. They are Loudoun, Falls Church, Fairfax and Arlington. Prince William County and Stafford County are either in the top ten or close. Three other top-ten counties are in New Jersey. Poor Maryland. Only Howard County and Montgomery County are consistently in or near the top ten. However, four more Maryland counties — Charles, Calvert, Anne Arundel and St. Mary’s — are among the 30 highest earning counties, out of 3,000 across the country, according to The Washington Post. Click here for the Post story. Montgomery in truth, has slipped in recent years. I can remember when MoCo was among the three richest counties in America, year after year. Montgomery was No. 12 in 2012, with median household of only $94,365, the Post reported. Got that? Montgomery was No. 12, ahead of about 2,988 counties. Howard was No. 4, with $108,234 median household income. The level of incomes in different parts of the country are all relative and must be taken in context. People who move here from other parts of the country are usually shocked by the prices when they buy a house or rent an apartment. It’s not easy, making ends meet in Montgomery County, even with two paychecks, on $94,365 a year. If you’ve got a child in college, you’re pressed to the wall. Some of the folks in Chevy Chase and Potomac are among the truly wealthy. But the high cost of living is nearly everywhere. People living in places like Wheaton, White Oak, Rockville, Gaithersburg, Germantown are ordinary, middle-class or working-class Americans, just trying to get by, paycheck to paycheck. Nevertheless, in a state as affluent as Maryland, every school should be a first-rate facility with excellent teachers, whether it be in Chevy Chase or Germantown. The schools in Prince George’s County should be as well-funded as the schools in Howard County. Talking seriously about WEALTH . . .
** All this stuff about affluence and wealth has a number of angles. The median household income, keep in mind, is basically household paychecks. A paycheck of $108,234 in Howard County doesn’t classify anyone as “wealthy” or “rich.” It doesn’t put anyone even near the “top one percent.” At best, people earning these median incomes in Howard and Montgomery, and across the river in Virginia, can be classified as “affluent,” in my opinion. Of course “median” means half of all the households earn more than the median, half earn less. Some people make $1 million, or $5 million, a year, while the median in Montgomery is less than $100,000. The “average” household income, therefore, is much higher than the median. Real wealth, in my opinion, is measured by much more than annual income. Many of the wealthy may arrange things so that they have no “taxable income.” None. But they’re still plenty wealthy. Real wealth is measured in the value of property — real estate, bank accounts, jewelry, artwork, pleasure boats and airplanes — and in ownership of profitable businesses, or ownership of stocks and bonds. There’s a lot of this “real wealth” in Maryland, and it’s not necessarily in the suburban counties where the affluent earn their paychecks. Consider the waterfront estates on the Chesapeake Bay, in counties like Talbot County. The bottom line, however you define wealth or affluence, is that Maryland, with six counties among the top 30 in the nation in median income, is a very affluent state. And that’s without taking into account the real wealth, the waterfront property and corporate wealth. Maryland has more than enough wealth and resources to pay for all public needs. There’s no need to fight about money for schools or transportation. The question is: Does Maryland have the will to pay for schools and transportation?